The monastery is well ordered, an acies bene ordinata in which each member has a place of responsibility and honour. 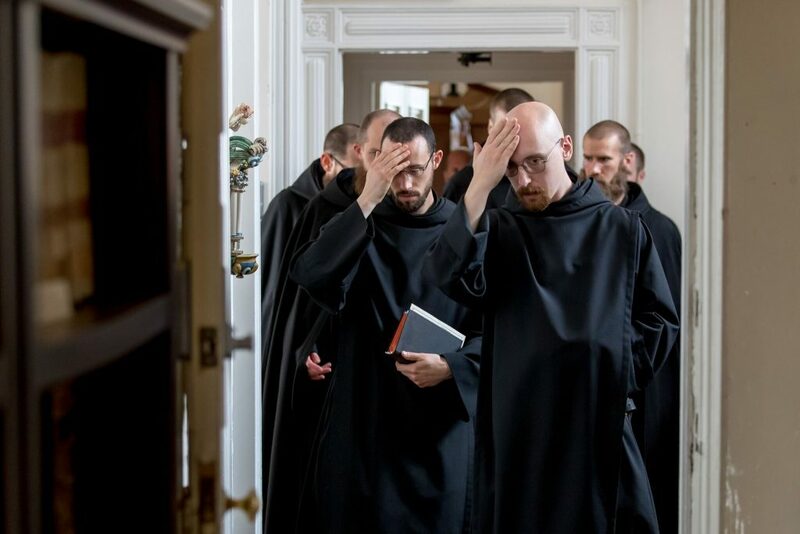 Three criteria determine a brother’s place in the monastery: (1) the day and hour of his entrance, (2) the merit of his life, (3) the decision of the abbot. Should the abbot decide to move a brother upward or backward in the ranks, this will be done in consideration of how the brother lives, of the good that may come of his example, and of his readiness to collaborate loyally and in obedience with the abbot for the building up of the community. The abbot is not to disquiet the good order of the community by arbitrarily moving brothers up or down the ranks. The monastery becomes a society in which prevails what Saint Augustine calls the tranquillitas ordinis. Herein lies the secret of the pax benedictina. The monastery reflects, albeit humbly and not without miseries and shortcomings, something of the order of the angelic hierarchy that praises God in ordered rank and in pulchritudine pacis. Every offense against charity, every act of forgiveness refused or deferred, every prideful thought, every bitterness or resentment held in mind, detract from the peace of the monastery. The order of the community is most clearly manifested in the Opus Dei. Saint Benedict speaks explicitly of the kiss of peace, the approach to Holy Communion, the intonation of psalms, and the places occupied in choir. The order of the community also prevails in the refectory, the chapter room, and wherever we gather as a family. Saint Benedict’s emphasis on this point creates an atmosphere in which each member can move freely and peacefully because he knows his place in the body. One might say that the genius of Saint Benedict was to join the Pauline theology of the Body of Christ to the Roman concept of social order and to Saint Augustine’s vision of the City of God, never forgetting that the City of God descends from above, that it is God’s work, and the visible manifestation of the grace of Christ.